& from Belgium / België / Belgique including Gooik. We are delighted to offer these special items complete with our Certificate Of Authenticty plus letter from the original owner. These were obtained from one of Mariahs assistants during 2003 when Mariah gave these and others to her as recognition of her loyalty. Superb - you know you really want to want to!! 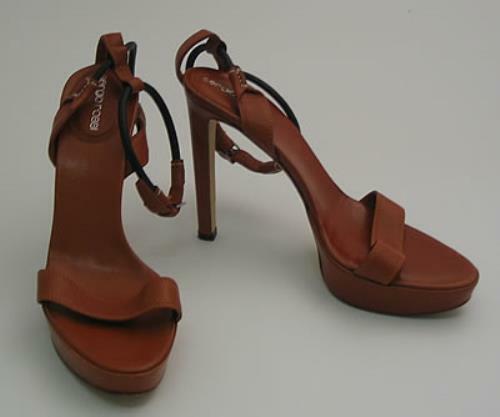 Product Information Mariah Carey Mariah's Own Pair Of Brown Leather Stage Shoes USA memorabilia.